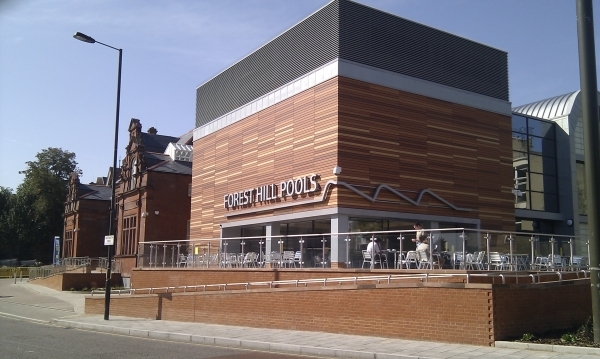 Forest Hill Society: DLR Extension to Forest Hill? According to London Reconnections, TfL Planning is now developing five Sub Regional Transport Plans which propose projects which can deliver the Mayor's Transport Strategy in each of North, East, South, West and Central London. 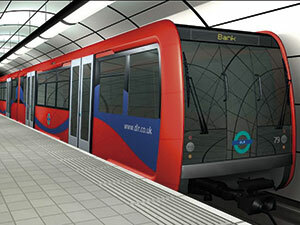 These proposals include a number of DLR schemes to improve connectivity and capacity to Docklands. 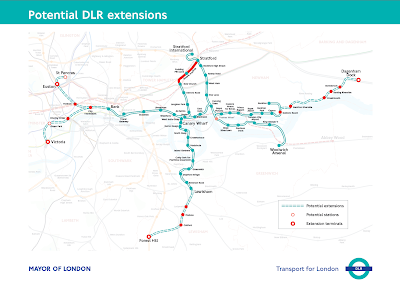 One of these schemes includes bringing the DLR from Lewisham to Catford and on to Forest Hill. While the idea of going to Catford is a relatively old one (it appeared in Horizon 2020, a previous proposal on which these options are based), the surprise addition is the idea of DLR coming to Forest Hill. 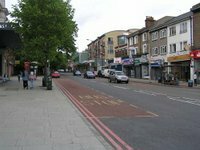 Catford is an obvious choice for a DLR extension and it would follow a disused railway line which would provide new journey opportunities and numerous benefits to the Hayes line and the Catford loop. 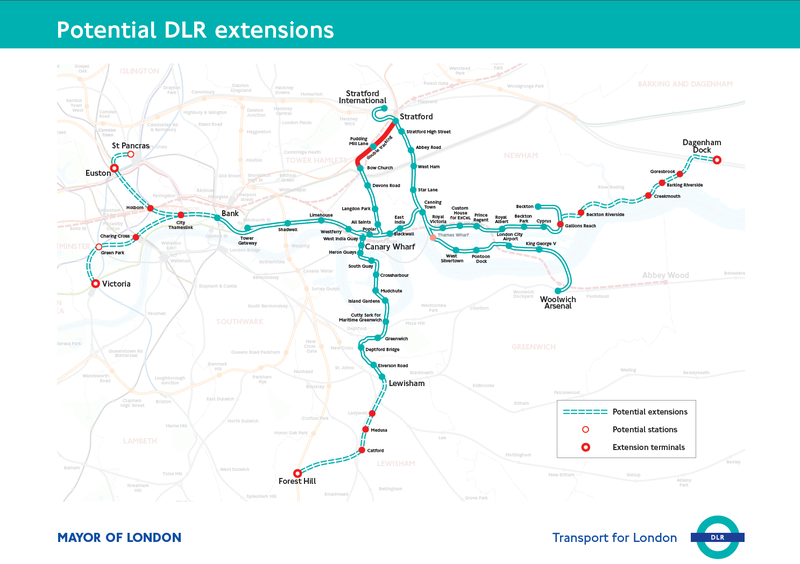 There are no details of what route the DLR would take from Catford, but a solution at ground level or involving a viaduct does not seem very attractive whereas a tunnel would be very expensive. While all four proposals had a BCR exceeding 2.0:1 (which means that the scheme should be built), this option has the lowest BCR of the four proposals and so is probably least likely to go ahead. The other three proposed extensions are Gallions Reach to Dagenham Dock, Bank to St Pancras and Bank to Victoria. Can I have a value point for opposition is this; I think Cutty Sark for Maritime Greenwich Stn should plan the DLR part closure in between Mudchute / Greenwich to Lewisham, is the best way as a challenge one to redevelopment of Lewisham, and the rail line can link under through in the tunnel and reach out to rejoins the National Rail at Ladywell, also will may contiued to Catford and Forest Hill. It looks likely seem to plan a very long term work out plan and consultation needed the most until it will comfirm if wisely saids to go-ahead, or not to go ahead the plan of extension of Catford or Lewisham? What I do know the next one is plan to outline safeguards to protect any those areas for before they setting from single track to relocated viaduct double rail tracks and Crossrail Tunnel Portal with in between Bow Church and Stratford High Level. Does it sounds good enough to you?